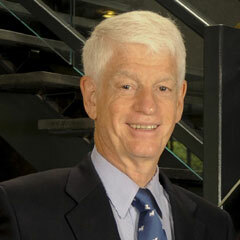 Mario J. Gabelli is the chairman and chief executive officer of GAMCO Investors, Inc., the firm he founded in 1977. Gabelli holds an MBA from the Columbia Business School, and honorary doctorates from Fordham University and Roger Williams University. He serves on the boards of Boston College, Roger Williams University, Columbia Graduate School of Business, the American-Italian Cancer Foundation, and the Foundation for Italian Art & Culture. He is a trustee of the Winston Churchill Foundation of the United States and of the E.L. Wiegand Foundation, and is a member of Fordham’s President’s Council. His wife, Regina M. Pitaro, is a 1976 graduate of Fordham College at Rose Hill and a trustee fellow of Fordham University. Pitaro also holds a master’s degree from Loyola University Chicago and earned her MBA from the Columbia Business School in 1982. She and Gabelli are recipients of Fordham University’s Founder’s Award and the Insignis Medal, the latter of which is awarded for extraordinary distinction in the service of God and humanity. In addition to their mutual passion for investing, Gabelli and Pitaro share an inviolate belief in education as the great equalizer, the heart and soul of the great American experiment. It is this belief that inspired the couple’s transformative 2010 gift to Fordham University, the largest in the University’s history, a gift that revolutionized business education at Fordham. Gabelli also funded the Gabelli School PhD program, which welcomed its first students in fall 2016. In gratitude, the University renamed the undergraduate business college the Gabelli School of Business in 2010; five years later, the undergraduate and graduate business schools were unified under the Gabelli name. Gabelli and Pitaro’s generosity, coupled with their work on the President’s Council and Board of Trustees, positions Fordham at the forefront in today’s business world.